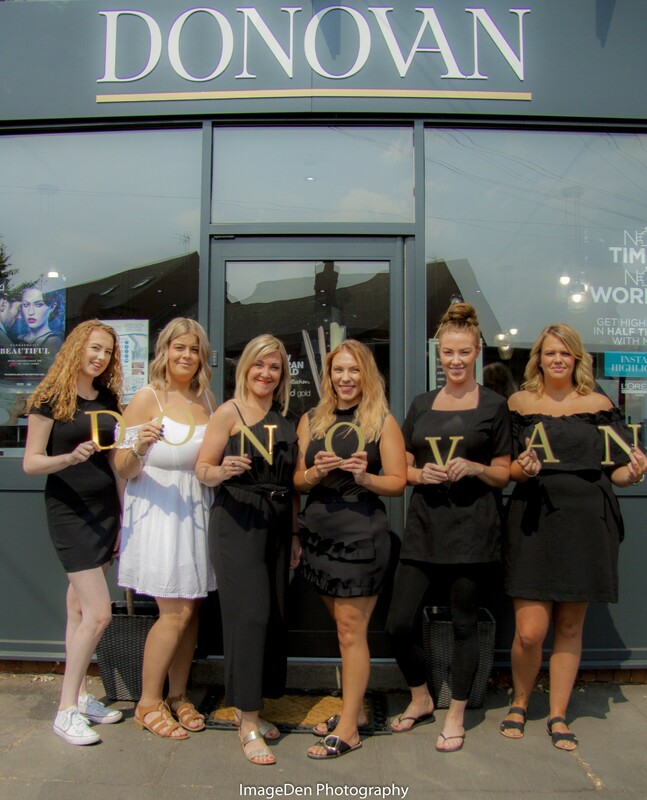 Welcome to the all new Donovan Hair and Beauty! It’s been a fantastic 3yrs so far and the business is going from strength to strength. In the last year alone we have more than doubled our clientele and along with it our amazing team of stylists, while also developing the beauty element of the business. We were excited to win the Muddy Stilletos Award for Best Hair Salon 2017 and reach the finals again this year. We have also received a Phorest award for 5 star customer service excellence which we are rather proud of too! This month sees the salons 3rd birthday with more exciting times ahead! We have a fresh new brand and a new edge as we become Donovan Hair & Beauty. For our clients this means that you will receive the excellent service you have become accustomed too with our consultations and personal service being a key part in what we do, to ensure you leave the salon feeling the best you every time. We remain a Matrix Training Academy; so we have all the latest techniques and colours at our fingertips giving you scope to achieve the ultimate look for you and your hair. We welcome our new therapist Sharon who brings with her a wealth of experience and knowledge making Elemis our new signature product range. There will also be a number of new aesthetic treatments on offer including 3D lipo; currently the most advanced non- surgical treatment on the market. The official launch of our Mens Room is on the horizon with numerous grooming treatments and styling available, find out more over on our Mens Room page. Something we’re just a little excited about is your Donovan Hair and Beauty app launching this Summer; giving you 24/7 access, making booking much easier and more accessible. We’d like to take this opportunity to thank all our current clients and welcome new ones. Watch this space for more exciting announcements and services from the new Donovan Hair and Beauty.